Classic Protective Coatings is the industry leader in water tank rehabilitation. With over 20 years of experience and 5,000 plus completed projects, there isn’t a job we can’t handle. Classic Protective Coatings provides a safe and healthy work environment for all its employees. To fulfill this commitment, Classic Protective Coatings implements a progressive accident prevention program. Classic Protective Coatings complies with all applicable OSHA standards and follows all generally accepted safety and industrial hygiene practices. Classic Protective Coatings provides training to all employees. Employees are provided training in the skills necessary to perform work safely. Our employees undergo OSHA 30 Hour, OSHA 10 Hour, First Aid, CPR, and AED. Crews are required to undergo annual safety training including but not limited to confined space, fall protection, lead abatement, hazardous communication, skid steer safety, back safety, respiratory protection, and personal protective equipment. Classic Protective Coatings dedication to safety was recognized in 2017 when we received the Texas Mutual Platinum Safety Partner Award. We lead our industry with the lowest number of onsite accidents. We actively participate in a number of trade organizations to stay up to date with the latest certifications in our field. SSPC (The Society for Protective Coatings), NACE (National Association of Corrosion Engineers), AWS (American Welding Society). Our employees hold certifications for: OSHA 10 hour training, OSHA 30 hour training, First Aid, CPR, AED, SSPC C5 Supervisor/Competent person for de-leading of Industrial structures, SSPC Quality Control Supervisor, SSPC C1 Fundamentals of Protective Coatings, SSPC CAS Coating Application Specialist, SSPC C7 Abrasive Blaster Qualification, SSPC C12 Spray application. AWS 3G Welding Certification, AWS 4G Welding Certification and AWS 6G Welding Certification. Our experienced and thoroughly trained crews make us leaders in efficiency. We’ve been known to complete jobs faster than some of our competitors. Aside from highly competent crews we own the most efficient up-to-date state of the art equipment in the industry. We expedite project time while still meeting state and federal codes for heavy metal removal and disposal. We make and manufacture custom parts in-house so you never need to wait on outsourced parts to complete a job. In addition, we own Super 8 Unit steel grit recyclers along with all other equipment we use so there’s never a delay due to high demand on rental equipment. Due to the outstanding work that was done rehabbing and painting the Lewisville Water Tank I am compelled to write to you to congratulate Mr. Efrain Valdelamar and his crew. These gentlemen worked for several months on a tank rehab that was in restrictive conditions being next to a busy collector road and elementary school playground. Not one complaint was received. To the contrary I was approached several times with compliments about their seemingly invisible work in a most visible area in the center of downtown Lewisville. The product delivered was exactly what was negotiated in size, proportion and placement. Classic Protective Coating never fails to perform skillfully, efficiently, and with the highest standard of professionalism. 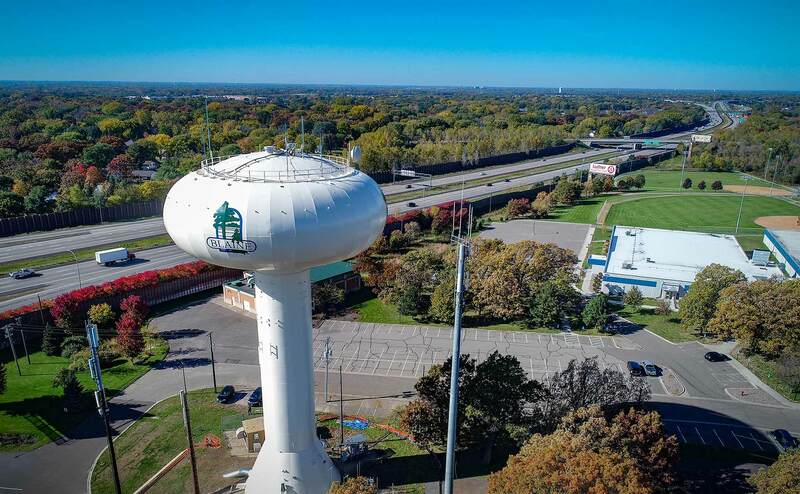 I would highly recommend Classic Protective Coatings for any municipalities’ water tower project. Vice President/COO of KLM Engineering, Inc. I would like to commend you and your crew for the outstanding safety and quality control programs implemented. During this 3-month project there was not a single accident, incident or injury reported. There was not one reported incident of overspray or damage to any vehicle or aircraft in adjacent parking lots. Right from the start of the job when I saw the blast and air handling equipment, I sensed that this must be a very organized crew. As the job progressed, I saw a great model of teamwork. It is not an every day occurrence that we have a contractor exceed our expectations. We want to thank Classic Protective Coatings for their excellent workmanship. 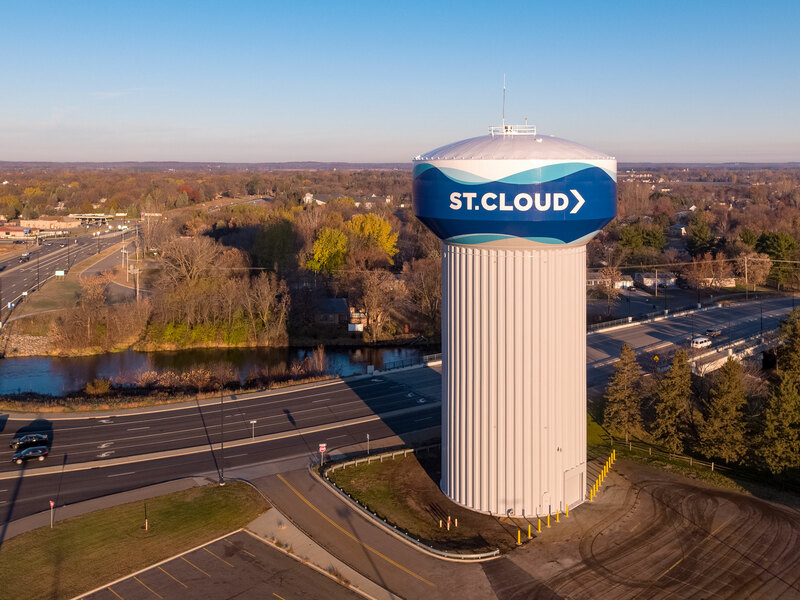 Classic Protective Coating’s ability to work with the public, combined with the staff’s personal integrity made our two projects together seamless transitions form taking the tanks out of service to putting them back online with zero punch list items at completion. Describe the details of your project and we’ll give you a no obligation quote on the job. After you accept the quote we’ll work with you to determine the best time to get started. One of our crews will be deployed to the project site and begin work.